Pool Party: Splish Splash School’s Out Party. Dive into the fun with some Summer Pool Party ideas. 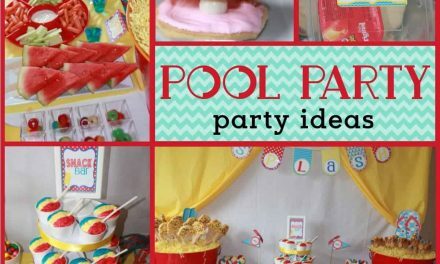 Be sure to check out all of our Pool Party Ideas as well as all our Beach Party Ideas and Under the Sea Ideas. 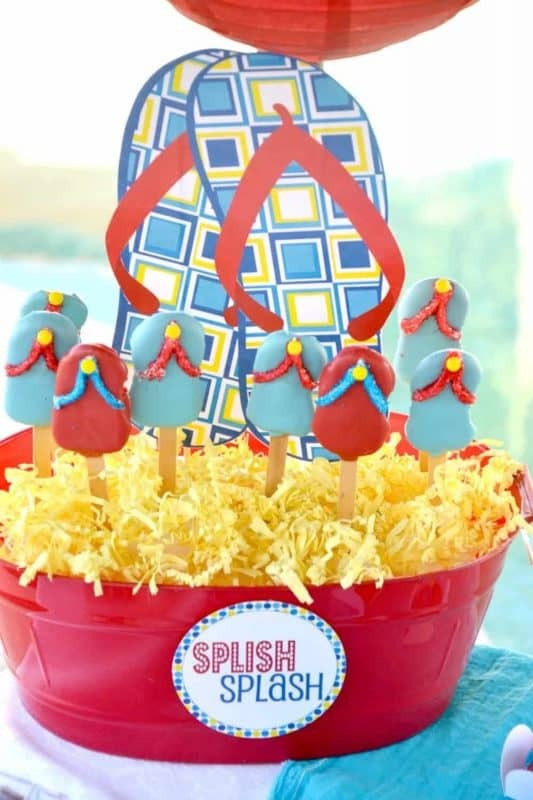 This adorable pool party was styled by the super duper duper (that extra duper really is necessary) talented, Cris from Crissy’s Crafts. I was originally introduced to Cris’ creatively unique party spreads in October when she styled this Gothic Halloween Party using my FREE Halloween Printables. These adorable cupcake toppers were made by the super nice Brittany from Edible Details. 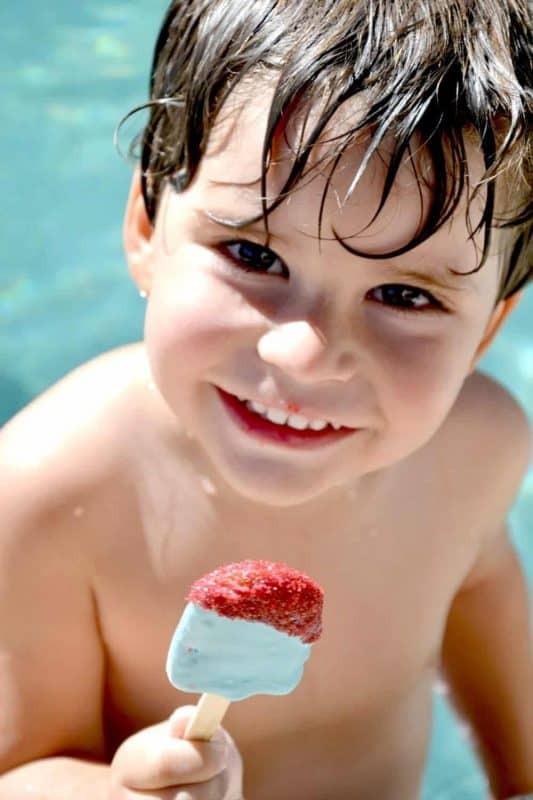 What a little cutie pie…and I love the Popsicle cake pops. Check out more of the party photos here on Crissy’s Crafts. 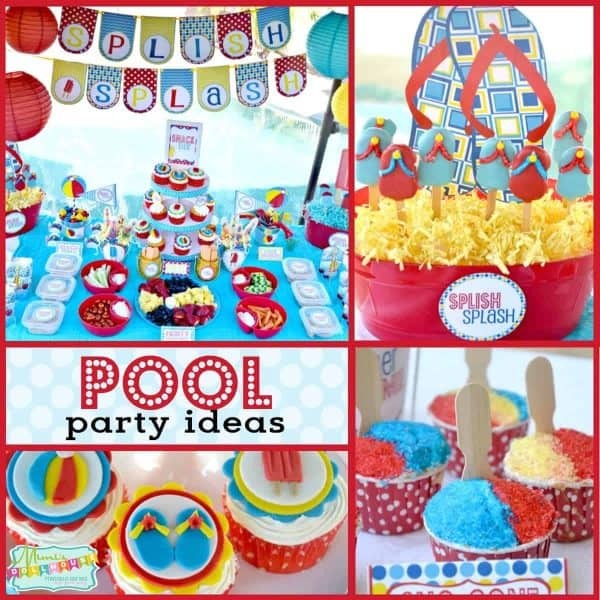 The Printable Pool Party Decoration Package is available for purchase in my shop. Such an adorable party! Would you mind sharing the fonts that you used for all of the little cards? I am purchasing the party pack for my sons party. thanks! 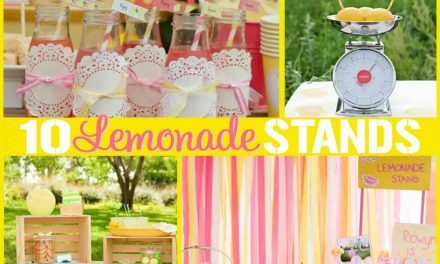 try to recreate this party for my son this summer! This is such a fun party!!! 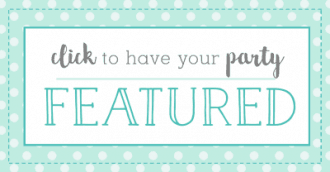 Oooo so many adorable ideas here! I don’t know if I can pull them off, but my sister in law has a pool, so I’m sure I can bring over one thing at a time to impress this summer! Thanks for sharing! 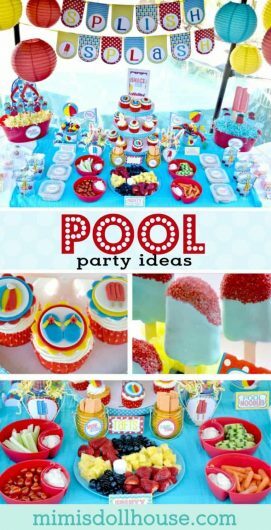 This looks like such a fun party idea for a pool party or summer birthday party. This is such a colorful and fun theme! 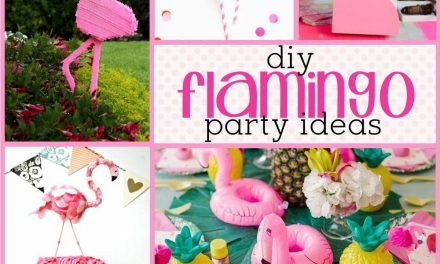 You have awesome party ideas. So cute! I love the “beach balls” and cake pops especially. I’m definitely saving this for later! 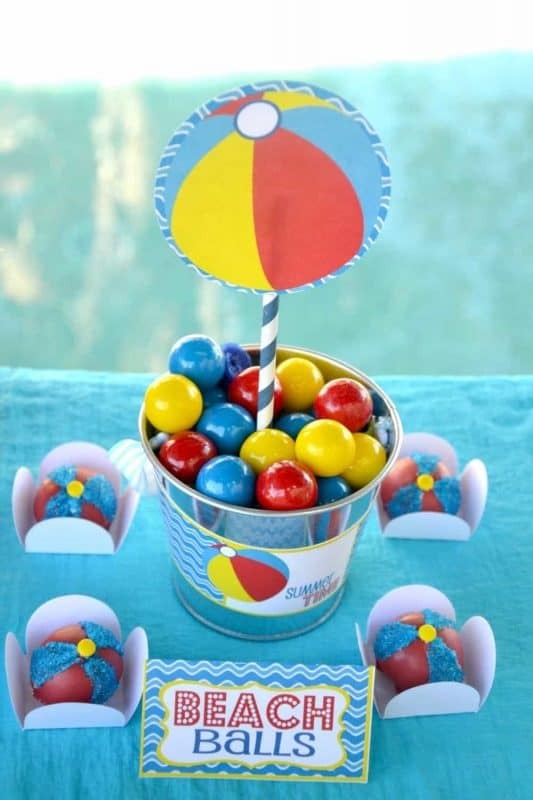 Adorable idea for a party! I am going to save this for the summer! Oh wow this is awesome! Oh yummm it all looks so great!! This is the cutest party idea ever. I love it. I’m so going to do this for my daughter when it’s summertime. Great party theme!! 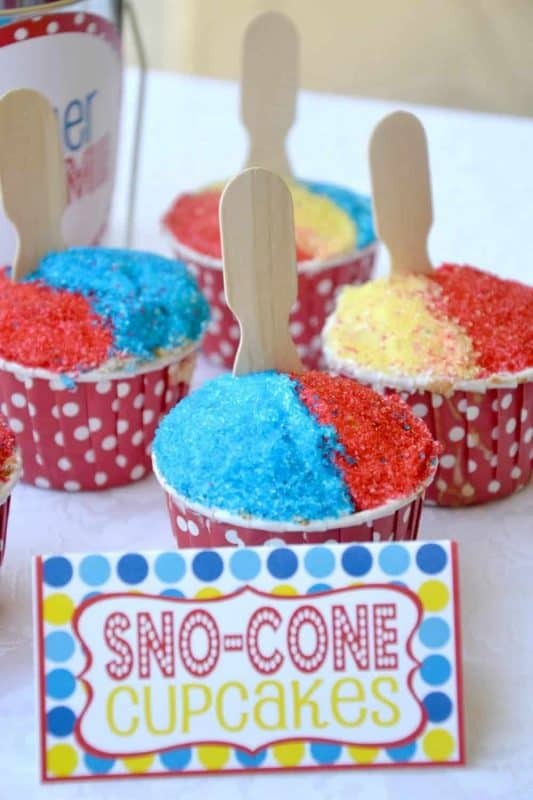 I love the colors and all the frozen treats.. Any kid would love this! These look so fun!! I can’t wait for summer to be by the pool! This is such a cute party! 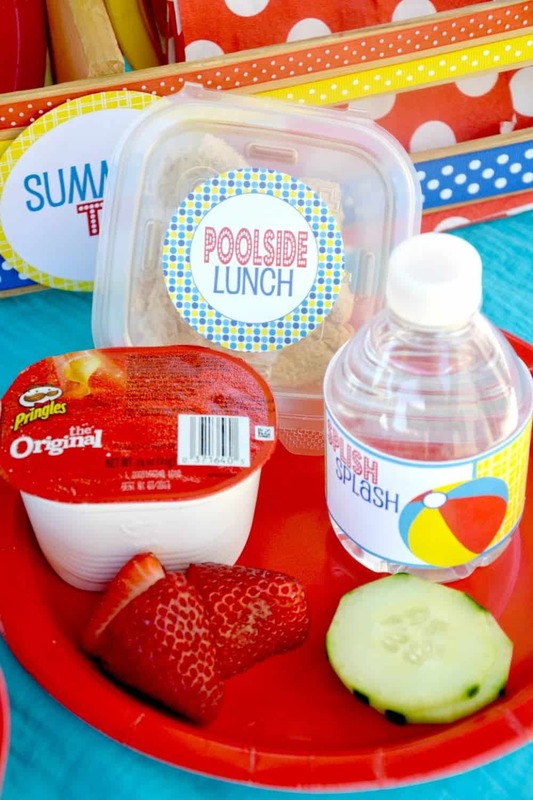 All of the details are adorable, I especially love the poolside lunch and sno cone cupcakes. So creative! What a fun idea! I wish I had a pool to do this! I can see us doing one of these parties at my mother-in-law’s house when our kids are a little older! What a bright and fun design! That’s a lot of sugary treats for a momma but I bet the kids loved it! 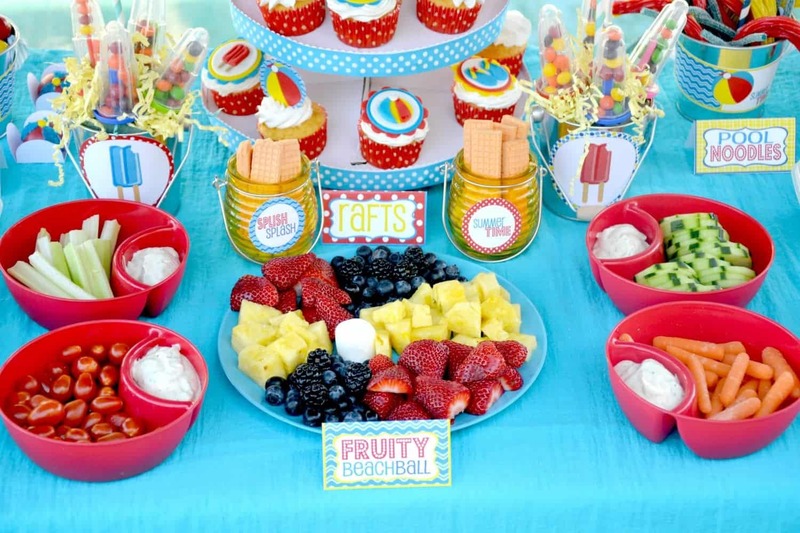 As usual, this is another cute and creative party theme. I love the color and everything. The pool noddle is so creative. This is so awesome! My sister and I were known for having an end-of-the-school-year pool party at our house every year and it was so much fun!! This looks like super fun pool party! The colors and decorations are great! Oh wow, this looks like a blast! I’m not much of a party planner, but I love going to themed events like this. Looks awesome! I want to go to this party!!! 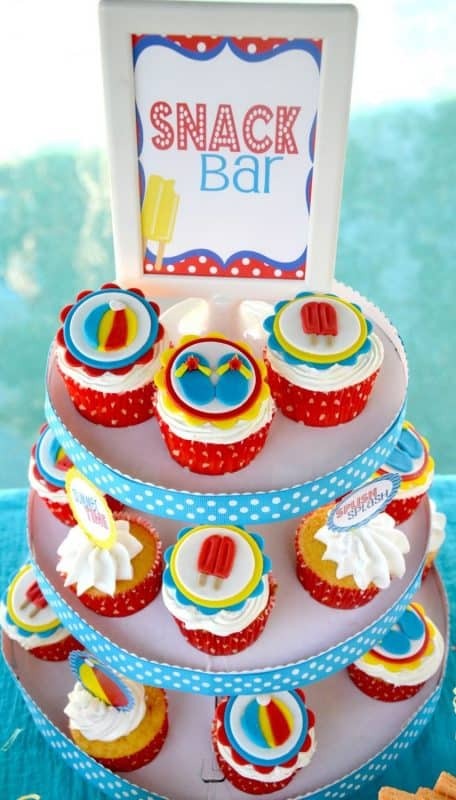 The pool noodles, Popsicles and cupcakes were all cute. We don’t have parties here for anything but I love this theme. 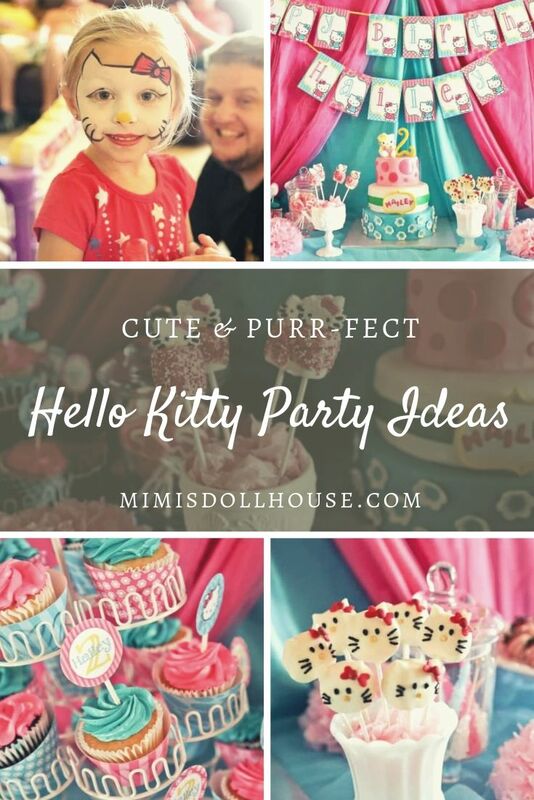 You have such fun party ideas! 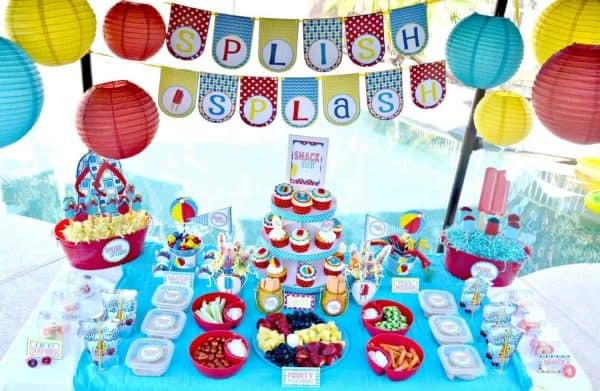 I love the colorful decorations and the Splish Splash theme!! Oooo…Im so ready for summer! This looks sooo cute and so fun!!!! love the pool theme. 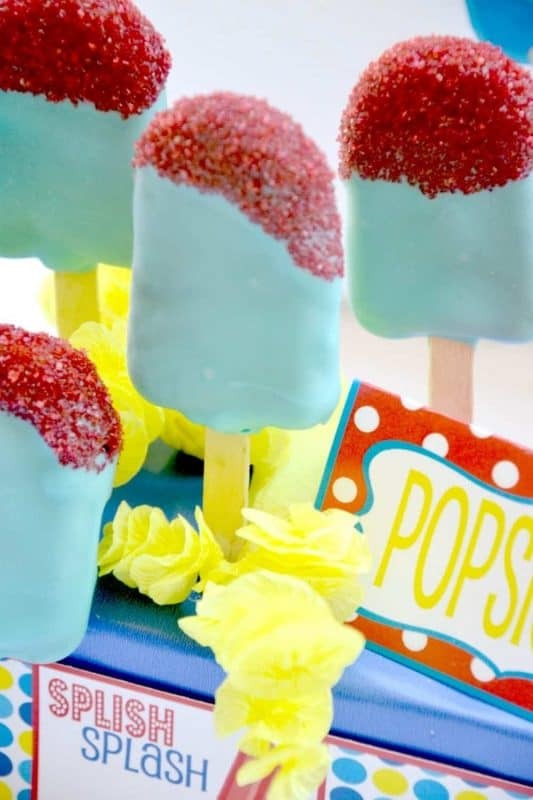 The popsicle cake pops!! Those are so cute!! 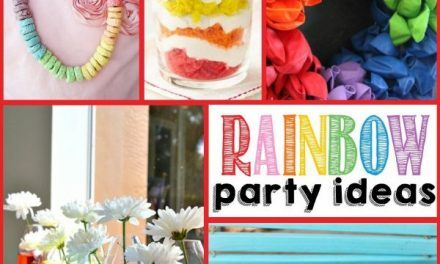 This is such a great party with creative ideas. Everything is super cute. I’m sure kids love it. Love the pool splash theme so fun and perfect for right now. The snow cone is making me thirsty lol I want some. These cupcakes look so cute. What a fun party! Love all the Splish Slash details! And the colors are so vibrant.